I moved to Seoul, South Korea in November of 2008 and everything was new and different. The traffic was strangely peaceful, the hum of the subway like a sweet melody. Having grown up on an island off the coast of Newfoundland, my home was so very far removed from anything metropolitan. Upon arrival in Seoul, I took refuge in becoming a nameless face in the crowd. While I was walking in this crowd, I observed. I never grew tired of the way steam bellowed from the street vendor food outside my subway station. Korean food had this way of warming everything, even the air. Now that winter is drawing near, my body seems to crave just one thing: Korean soups. When I think about it, it makes sense. My first few months in Seoul were cold. But Koreans know how to handle such climates: with piping hot, delicious stone bowls of yummy goodness. 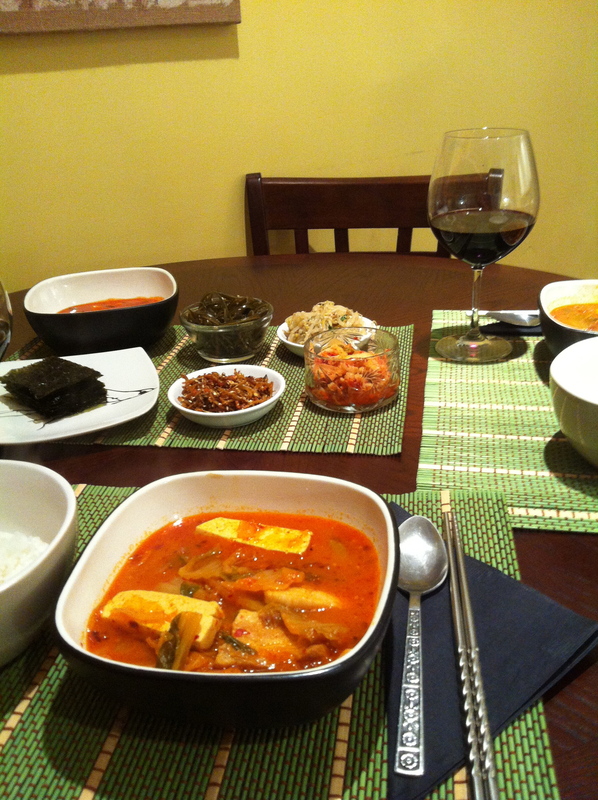 So as we prepare for our first snowfall in Newfoundland, my mind wanders back to my first Korean love: kimchi jiggae. I love this soup so much I just have to spread that love. 5. Add tofu and boil for 5 minutes. 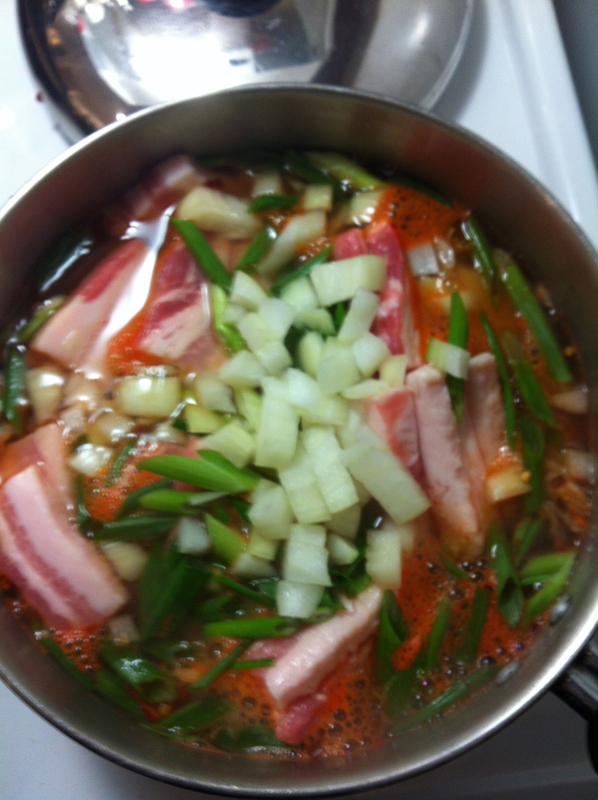 The sudden arrival of snow in Ottawa makes me want to warm up with kimchi jjigae as well. Yum! Love the headline! And excellent segue to the recipe! kimchi stew is my fav korean dish.